With a pretty pink and lavender boutique on Indiranagar’s 100ft Road that exhibits beautifully handcrafted jewellery, The Mauve Unitx is our newest go-to for bling. Made with fine base metals and semi-precious stones, in traditional and contemporary designs, you’ll love what’s on offer here. Staying away from the usual fare of fine jewellery, The Mauve Unitx puts more of an emphasis on design and doesn’t take the traditional gold and silver route. They even feature some Indian designs that are sure to be a hit at all those weddings and family functions you have lined up for the year. Not one for major bling? 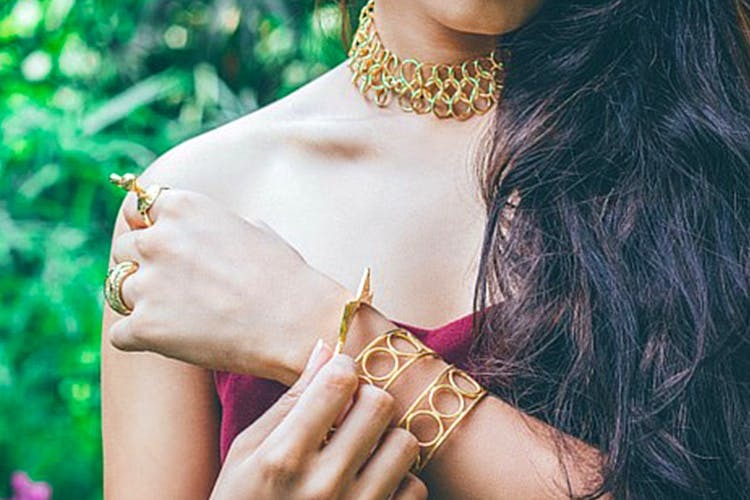 Tone it down with their costume jewellery that will make any outfit #ootdgoals. Skip the diamond drill and opt for some semi-precious goodness instead. Be it jade, rose quartz, agate, crystal quartz, turquoise or even black onyx, find a unique piece from their collection to add to your jewellery box. And if you’re looking for something truly exotic, they have a curated collection of ornaments from Afghanistan and Turkey, both antiques as well as handcrafted pieces.